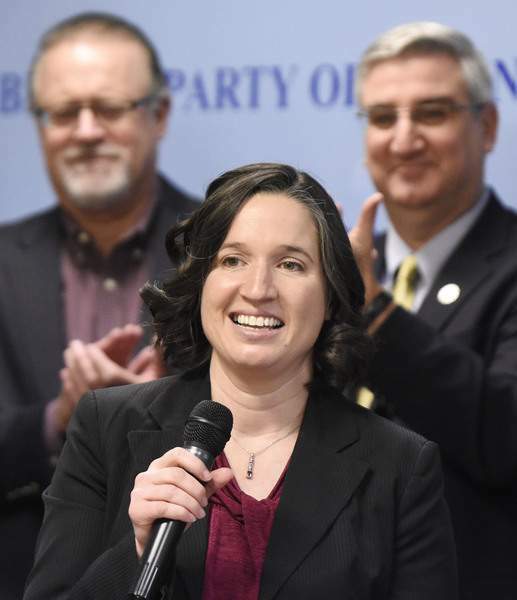 State Auditor Tera Klutz said Thursday she will continue to focus on internal controls and increasing transparency as she settles into her new role as Indiana's chief financial officer. Particularly, Klutz said she plans to expand upon efforts by Lt. Gov. Suzanne Crouch to improve transparency through use of technology. Crouch formerly was state auditor until her election last year. Klutz was appointed auditor in January by Gov. Eric Holcomb. Klutz formerly was Allen County auditor. “My predecessor developed an amazing tool for Hoosiers to utilize, and I plan to build upon her successes with other state partners to make Indiana's Transparency Portal the best one-stop shop for access to data about state government expenses and operations,” Klutz said. “As a CPA, I understand the importance of internal controls and the risks involved with not having them,” she said. Once that protocol is completed, Klutz said, it will be made available for all other state agencies. Klutz also announced the members of her executive team, which consists of Staci Schneider, deputy auditor and chief of staff; Courtney Everett, deputy auditor of finance and accounting; Brent Plunkett, deputy auditor of operations; Kendra Leatherman, legislative director; and Molly Swigart, public information officer. “While I have a strong management team, I also have a fantastic group of individuals in the office who are very committed to doing things right and delivering excellent service,” Klutz said. “It has been a fast and furious first few months, but I am fortunate to put my county auditor and CPA experience to work and stepping into my new role quickly.